Why Change Fluids in Your Car? We’ve got you covered whether your car fluids need a top off or a complete flush. There are many features in a vehicle that some car owners take for granted. Your ability to turn smoothly without much force on the wheel. The way your brakes react so quickly when you slam your foot down on the pedal in an emergency. The smooth way your car shifts gears and allows you to continue to accelerate without abrupt stops or interference. All of these features are brought to homeowners through specialty pieces of equipment in your car. But just like your engine needs oil to stay lubricated and function properly, these pieces of equipment require their individual car fluids to ensure they operate at peak performance. But what does that mean for you as a vehicle owner? 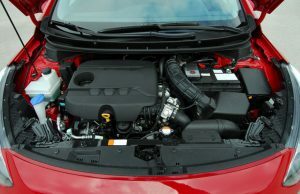 Which engine parts need car fluids, and which operate on something else entirely? You may not even know if you need to change these different car fluids, or just top them off. What are My Different Car Fluids? This can be a confusing thought for people not mechanically inclined. Most vehicle owners know to have their oil changed every 3,000 to 5,000 miles of use. Obviously this varies depending on the make and model of your car. 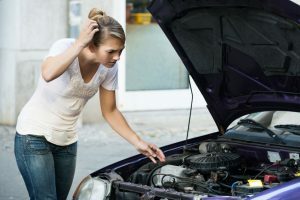 You may have found yourself wondering “What fluids are in my car?” or “What color are the fluids in my car?” If you ever get a fluid leak in Schaumburg, IL, you’ll want to be able to figure out what you’re looking at. Knowing what color every liquid that can leak from your vehicle can help you diagnose the source of a leak quickly, potentially helping you minimize the damage to engine. Knowing the differences of car oil vs transmission fluid can save you money on diagnostics at the mechanic. Light to Dark Brown This is engine oil. In terms of car fluids, this is the life-blood of your engine. It lubricates all of the moving pieces of your engine, and keeps it from degrading quickly. If your vehicle runs out of oil, or leaks too much of it, your engine can break down faster, and you can cause irreparable damage to one of the most expensive components in your car. The color of your oil changes based on time. The closer it is to your last oil change, the lighter the color of brown. The darker it gets, the closer you are to needing an oil change. If it contains sludge, it is supposed to. Most modern oils are made to keep contaminants in the oil itself, not dispersed through the engine. However, it can only do this for so long. That’s why you should pay attention to your driving patterns and owners manual to know when to get an oil change. Pink, Red, or Brown If you have a leak, and the fluid is one of these colors with a thick and oily consistency, then you most likely have a transmission fluid leak. The output shaft seal and axle seal are the common culprits in a transmission fluid leak. Transmission fluid is to your transmission what engine oil is to your engine. It lubricates the moving parts in your transmission to prevent damage and degradation of a very expensive part of your vehicle. It also serves as to cool the transmission during extensive periods of use. If you have an automatic transmission, it also helps transfer power from the engine to the transmission. Dark Red or Reddish Brown This is most likely power steering fluid. It has a thinner consistency than engine oil or transmission fluid. Essentially a pump pressurizes this fluid to help create hydraulic power to assist you in turning your vehicle. Without this, making hard turns would take much more force on the wheel. If you see this fluid, chances are you have a leak in the rack end seals for the rack and pinion power steering mechanism. Pale Amber If it’s in your car and looks like cooking oil, chances are it’s brake fluid. The type of brake fluid in your car varies depending on the braking system. Anti-lock brake systems use glycol-based fluids, while non-ABS systems use silicone based fluids. Brake fluid essentially creates hydraulic pressure in your brake system. It assists your brake rotors to clamp down harder, helping you to brake faster and more effectively. If this leaks it could be a few things, including the brake caliper seals or your flex lines. Bright Yellow or Green If you need to determine what that neon fluid is in your vehicle, it’s probably coolant or antifreeze. These could come from a number of places, including your car’s head gasket, freeze plugs, radiator, and others. These keep your car engine from overheating or freezing up. 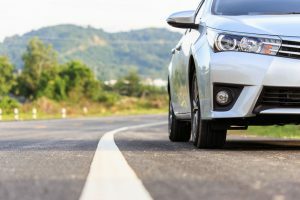 Moving components always run the risk of succumbing to the elements, and the addition of the proper amount of coolant and antifreeze to your car fluids can be the difference between a safe commute to work or a trip to the mechanic. Give us a call if you’re curious about the condition of your car or car fluids. Now that you can better determine which car fluids do what, you have to know proper maintenance. Just like oil, your vehicle will eventually need each individual system topped off, flushed, or completely drained and refilled with new fluid. How do you know if your car is leaking fluid? If you ever look down and notice a pool of fluids underneath your vehicle, there is a good chance you have a leak. This is the most obvious way to determine a leak. Since the engine and other parts aren’t sealed, fluids leaking out of your engine will inevitably end up on the ground where you park. Pay attention to the color and consistency of the car fluids to determine the type of fluid leak, which will help determine the potential point of origin. If you find your car leaking fluid and overheating, there is a good chance you have a fluid leak and should seek repairs immediately to avoid permanent engine damage. When should you change car fluids? 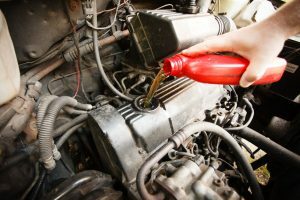 Letting your car fluids go without inspection for too long could require you to need a Sugar Hill, GA auto repair center. 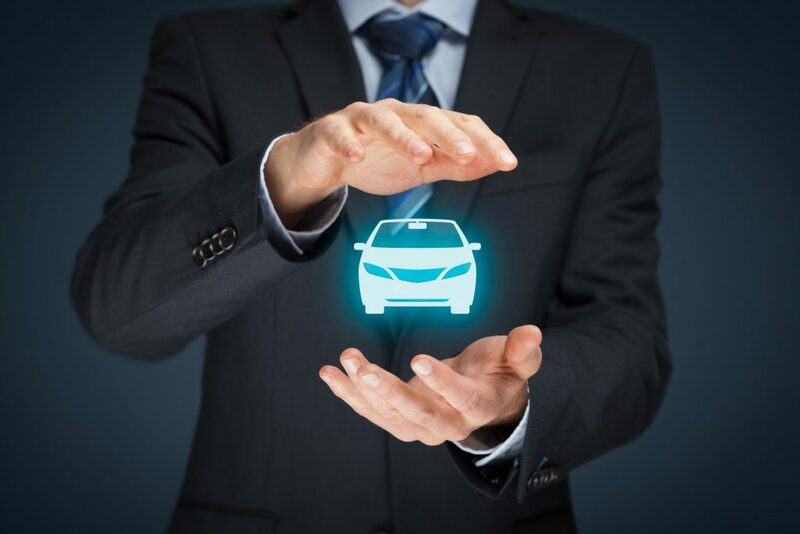 This varies depending on the vehicle, the usage, and the system. Transmission fluid requires a complete flush and replacement somewhere between 30,000 miles and 100,000 miles. Some vehicles state you will never need to service this fluid. At the same time, your power steering fluid should be topped off when it seems to be running low. A good indicator is the ease of your turns while driving. If turning becomes more difficult, you could need more power steering fluid. What fluids should be flushed in a car? You can feasibly do this to all of your car fluids. Whether or not they require this is a completely different story. While old engine oil is drained away and replaced, a flush of the system can help remove gunk in the system itself. There is no method for car fluid cleaning, but a flush is a way to remove building up in car fluid systems of your vehicle. But how much does it cost to get all your fluids changed? Each of your car fluids will cost a different amount. A system flush will run from 80 dollars to 250 dollars. Throw in the cost of the replacement fluid and it can be more expensive. That’s why you should always do your research before committing to a complete system flush. Car fluid bubbles could be indicative of an air leak in one of your car fluid systems, which can cause problems further down the road, and be potentially hazardous on the road. Any car fluid leaks could become serious problems further down the line. If one of your systems is leaking fluid on to other parts of your engine, you run the risk of a malfunction, and further problems. Now that you can better determine what your car fluids look like and what they do for your vehicle you’re better prepared in the event of a leak. If you’re in Schaumburg, IL and have a question about car fluids or need a car fluid leak repaired, contact Express Auto Repair & Emissions at 847-895-9131, and we’ll help get your vehicle back in peak operating condition. Posted in Uncategorized on February 6, 2019 by Express Auto. Seasonal Hazards Create the Need to Winterize Your Vehicle for Safety and Comfort. 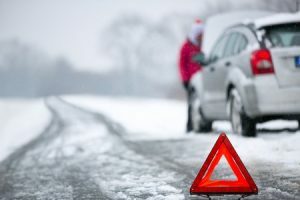 Winter car breakdown is a common occurrence that can become a true hazard. An unprepared driver, driving a car that has received no weatherization, could become stranded. 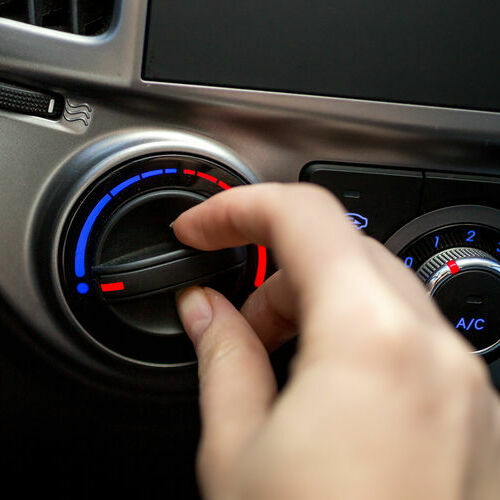 A complete breakdown will neutralize a car’s heater, and without proper preparation, you could find yourself cold and helpless, totally reliant on your cell phone to summon help. At Express Auto Repair & Emissions, we don’t want anyone to find themselves in these circumstances. To winterize a car requires a little effort, but generates a lot of peace of mind. Cars can develop several major issues if not prepped for cold weather. Some of these, including the sudden death of the car’s battery, or the freezing of its fuel lines, can leave you without transportation. Of course, there’s more to winterization than prepping your vehicle’s mechanical components. You must also think about your personal comfort and safety, should an unforeseen problem occur. After all, it’s one thing to run out of fuel or blow a tire in nice weather, when you can simply relax and wait for help. In winter, preparation dictates that you provide also for your personal needs. To schedule professional help and winterize a car in Schaumburg, IL, call Express Auto Repair & Emissions today at 847-895-9131. Obviously, the level of preparation you must undergo varies widely based on your location. If you live in a place that consistently freezes, with snow and iced roads, then you need to take your prep seriously. To winterize a car, you must not only work to ensure its functionality, but also its status as a haven should an unforeseen problem occur. Cover the following areas, and you can drive freely in the knowledge that you’re protected from wintry hazards. In places where it freezes on a regular basis, some mechanics recommend that car owners switch their oil to a thinner blend. This depends on your vehicle, however, and requires a professional opinion or review of your car’s manual. Your antifreeze coolant is the best defense that your vehicle has against the effects of cold weather. You will absolutely want to make sure that your vehicle has the maximum amount possible. To determine this, you may need to purchase a tester from an auto parts store. Lastly, make sure to attend to the oft-overlooked wiper fluid. If your fluid freezes, it will create a dangerous situation as you struggle to see the road. For a solution, simply replace this fluid with a freeze-resistant variety. What Is the Best Winter Battery? Dead batteries are another major consequence of bad weather. Cold weather can lessen your battery’s ability to function, a problem that can leave you stranded in a parking lot, along a deserted road, or simply in your driveway as you need to leave for work. To prevent this, you’ll first want to check your battery’s cables for wear, cracks, or breakage. Also, make sure that they remain firmly connected. You must then check your battery fluid. You can typically inspect its levels through the refill hole, and can shore it up with the addition of distilled water. Finally, look for a manufacture date on your battery. If it has served for three years or more, you should have it replaced. As for the best winter battery, a professional review site recommends Optima Batteries Yellow Top. What Are Winter Car Tires? A Winter Car Kit Can Also Include Hazard Signs and Road Flares. The last car components that deserve attention are the tires. First, check your tire pressure and treads. Improperly inflated or worn tires represent a true hazard on frozen roads. 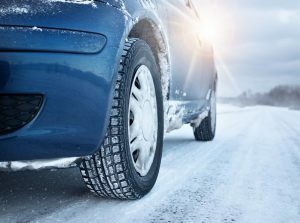 If you live in an area where the roads frequently ice over, consider the purchase of winter car tires. These are specialized tires made to grip icy roads and power your vehicle through wintry conditions. If you live in a rural area, you might want to consider the purchase of winter tires equipped with studs. Food and water are essential, as you never know what might happen on the open road. For winter, make sure you include warm clothing items in case your car’s heater fails. Sand or kitty litter, along with a shovel, can prove themselves lifesavers if you get stuck in the snow. After you prepare your car as much as possible, schedule a check-up with the talented mechanics at Express Auto Repair & Emissions. You’ll want to make sure you haven’t missed anything, including issues such as electrical repair, that only a professional can handle. For scheduled maintenance to help winterize a car in Schaumburg, IL, call 847-895-9131 today. Posted in Uncategorized on December 6, 2018 by Express Auto. These are just some of the possible tricks to help improve your vehicle. While these sound simple, many people do not realize how simple it really is. For example, keeping your tires in great condition and making sure they suit your vehicle can actually be a big help in efficiency, as stated by this Tenessee auto repair and tire shop. What Are the Benefits of Fuel Economy? Taking these small steps can not only make a difference in how your vehicle runs, but can also go a long way to help the environment and lower your emissions. This means that while driving your car and enjoying the ability to go further due to more gas, your car will also not emit as many greenhouse gases. 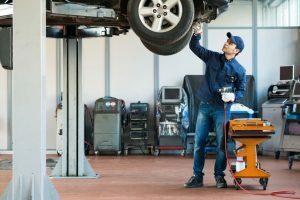 On top of that, these tips can help your vehicle pass The Illinois Air Teams Vehicle Emissions Repair Shop Report Card. Want to learn more or need service to improve your fuel efficiency? Call (847) 895-9131 today for expert services from Express Auto Repair & Emissions in Schaumburg, IL. Posted in Uncategorized on September 6, 2018 by Express Auto. Do You Need Car Air Conditioning Repair? If You Need Car Air Conditioning Repair, Call Our Mechanics Today! Ever since the invention of the air conditioner in 1902, people have been able to enjoy indoors without overheating and fainting. As the years progressed, further advances were made, like portable and car A/C units. In fact, us humans have been enjoying cool air in our cars since 1939! So when your car air conditioner starts acting up and blowing hot air or no air at all, your day can turn miserable pretty quickly. Don’t let that happen and come to us as soon as you notice signs of a musty smell in the car or hot air blowing. If you need car air conditioning repair in SchaumburgSchaumburg, IL, call the mechanics at Express Auto Repair & Emissions today at (847) 895-9131. What is Auto Air Conditioning Service? Car air conditioning services are repairs geared specifically towards your A/C unit. If you notice green or blue colored liquid dripping under your car, that is the refrigerant leaking. Refrigerant is the cooling liquid that works its way through all the HVAC pipes and gears to be transformed into cool air. 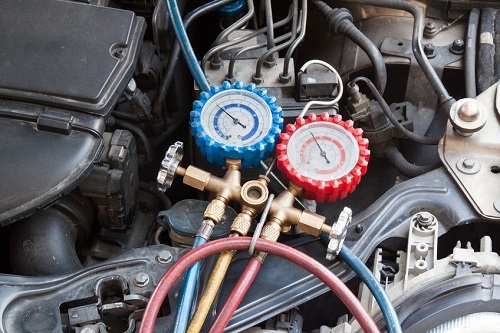 Not only is refrigerant harmful to the environment, but if it is leaking, that is a telltale sign that something is seriously wrong with your car. Other damaged A/C parts might be the fitting, compressor, condenser, or evaporator. These can become clogged, malfunction, or wear out over time. Expansion valves can become defective or loose from the rumbling and constant movement of the car. How Much Does It Cost To Fix Air Conditioning in a Car? Catching the air conditioning problem fast enough, locating the broken part, and how often these parts break and are reproduced will help determine the repair costs. Average car air conditioner repair for minor issues are $200 to $750 dollars. Serious problems or the model of the car could cost you over $1,000. 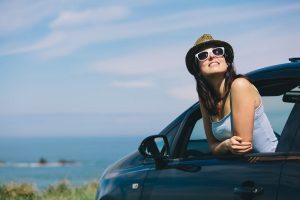 When prices reach that high, you might want to consider getting a new car that is newer with no problems instead of having to shell out all that money to replace your air conditioner for the car. You wouldn’t let your home swelter due to a broken air conditioning unit. Why would you do the same in your car? If you are noticing that your vents aren’t blowing cool air like they are supposed to, or if you are smelling odd fumes, take your car in for air conditioning repair. 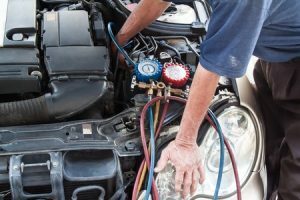 Express Auto Repair & Emissions provides car air conditioning repair in SchaumburgSchaumburg, IL. Call us today at (847) 895-9131 to schedule an appointment. Posted in Uncategorized on August 1, 2018 by Express Auto. The most obvious sign that your brakes are beginning to fail is a metallic squealing or grinding noise. This indicates that your brake pads have worn away from overuse and that metal is beginning to grind on metal. If refilling your car with brake fluid doesn’t eliminate the noise, take your car to shop quickly. If you feel vibrations in your steering wheel, throughout the whole car, or when you brake, this is from your rotors becoming warped. 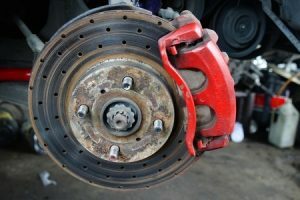 Rotors are what the brake pads squeeze to generate friction to stop the car. If you out your foot on the brake pedal and it goes all the way to the floor before finally coming to a stop, go to a repair shop immediately! Your brake pads are low or your brake fluid is at a dangerously low level. If you don’t get your car fixed, you won’t be able to brake at all very soon. Have you felt your car swerving or pulling to the side when you brake? This could be an indication of worn brake pads or a malfunctioning wheel cylinder. Call Express Auto Repair & Emissions at (847) 895-9131if you need brake repair in SchaumburgSchaumburg, IL. Posted in Uncategorized on May 22, 2018 by Express Auto. Your 4-wheel drive is likely one of your most prized possessions. You wash it weekly and change the oil before it’s time. You regularly inspect your tires and wheel assembly, engine, and transmission to ensure tip-top shape. But are you taking proper care of the 4-wheel drive itself? Below, we list the vital 4-wheel drive maintenance tasks that should be done regularly to keep your 4×4 running as it should. Keep Your 4×4 Running Great With Our 4-Wheel Drive Maintenance Services. Inspect your brakes and their lines for areas of leaking or wear, and regrease them as necessary. Ungreased brake lines could mean rust or early degradation that can cause big problems. Typically, your modern 4×4 vehicle will be self-leveling, which involves the use of linkages. Check yours to make sure they are properly lubricated to prevent grinding and wear. You should have both your front and back differentials inspected regularly including fluid level, seals, and signs of corrosion. You will also need to change the fluid according to your vehicle’s specifications, which is usually between 20,000 and 35,000 miles. Maybe the most vital component of your 4-wheel drive system, your transfer case controls how your vehicle’s power is transferred to the front and back wheels. During the inspection, you should check each of your seals, paying special attention to the ones located near the transmission. Yous should also check the fluid and change it according to your vehicle manual. Proper 4-wheel drive maintenance is the first step to optimal performance. Ensure proper inspection and maintenance all the time with the help from the Express Auto Repair & Emissions professionals. We provide accurate, comprehensive inspection, evaluation, and repair for all 4×4 makes and models. Call our technicians today at (847) 895-9131. Posted in Uncategorized on April 19, 2018 by Express Auto.